We help kids train for a goal race at the end of summer and learn about their bodies and the importance of living a healthy, active lifestyle. Email Colby - colby@fleetfeetmadison.com with questions. Read more about the program and its history below! Interested in volunteering? Please fill out this form! Running provides a space to challenge oneself, feel proud, and plug into positive groups of people who help each other. The Allied Drive neighborhood is one of Madison's most under-resourced and diverse communities. It is common for residents to have limited access to employment, health care, childcare and transportation. Allied has the highest concentration of in need families in the county, and 1/4 of its 1,350 children live in poverty. This is a neighborhood with well-documented challenges in regard to health, crime, drugs and safety. Just think what running can do in such a context, creating a space of joy, pride & independence in the summer world of 4th-9th graders. The Miler-in-Training program was created by Jessica Anderson, co-owner of Fleet Feet Madison,her brother Matt Groose & his wife, Molly Groose in 2008. In addition to running, this training program includes a health education component and is specifically targeted for kids. During the program, kids learn about health-related topics ranging from nutrition to the human body and completed running workouts to prepare them for their lap based goal race. The final race is organized and directed by Race Day Events, LLC., owner Ryan Griessmeyer with support from Fleet Feet Sports and MSCR. Thirteen children completed the program in 2009 and fifteen children completed the program in 2010. This number has more than doubled, allowing for more and more children to participate and achieve success! It truly takes a village to raise an athlete. Fleet Feet Sports Madison is committed to procuring funds to continue this life-changing program and is deeply grateful to all the organizations that have contributed to giving these kids the summer of their lives! Thank you to each of you who contributed with your time and energy as volunteers! Recently, Allied Running Club received a grant from Madison Area Sports Commission to allow us to continue to provide quality equipment to the beginning athletes. Fleet Feet Sports Madison is also donating $5 from every registration fee from all of their training programs to the Miler-In-Training: Allied Running Club. Thank you to the Madison Area Sports Commission (MASC) for the continued support to Allied Running Club. 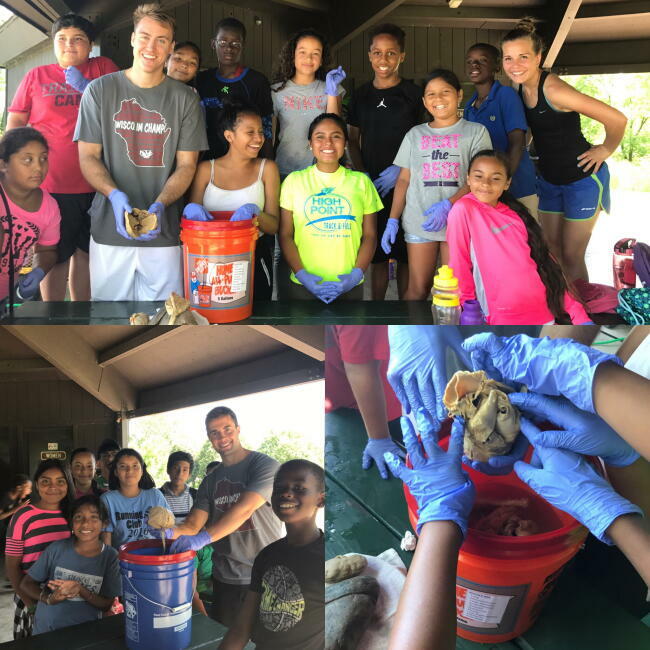 Fleet Feet Sports Madison's Allied Running Club works with youth participating in MSCR's Malborough Park program. Lauren Birkel, Owner of Orange Shoe Personal Fitness West,along with Coach Erin Birk,facilitated the Whole30 program, from which a donation of almost $600 was given to the Allied Running Club’s “Food As Fuel Initiative.” Thank you to all of you Whole30 folks! Proceeds pay for the shoes and work out gear for each of the kids participating in the program. In an under-resourced community like Allied, the fact that the children are properly fit for and provided their own, new pair of Brooks shoes to use during the program is a highly motivating factor. The students can earn their shoes to keep by staying committed to the program and participating in the goal race. The shoes, team shirts, shorts, socks and water bottles, that are issued to them for their practices, ensure that these beginning youth runners have the appropriate equipment needed to succeed in their new sport. The certificates of achievement and race medals ensure that they know how important it is to stay committed to a goal. As a volunteer or donor, you could help children find a place where they are encouraged, challenged, and rewarded for hard work, which will build a foundation for the rest of their lives…and help them get a quality pair of running shoes in the process! Please fill out our Volunteer form and we will contact you soon to determine how you can help as a coach or a volunteer on event day!